We are very proud to introduce this stunning Teak Root Stool Rustic High Bar Stool. 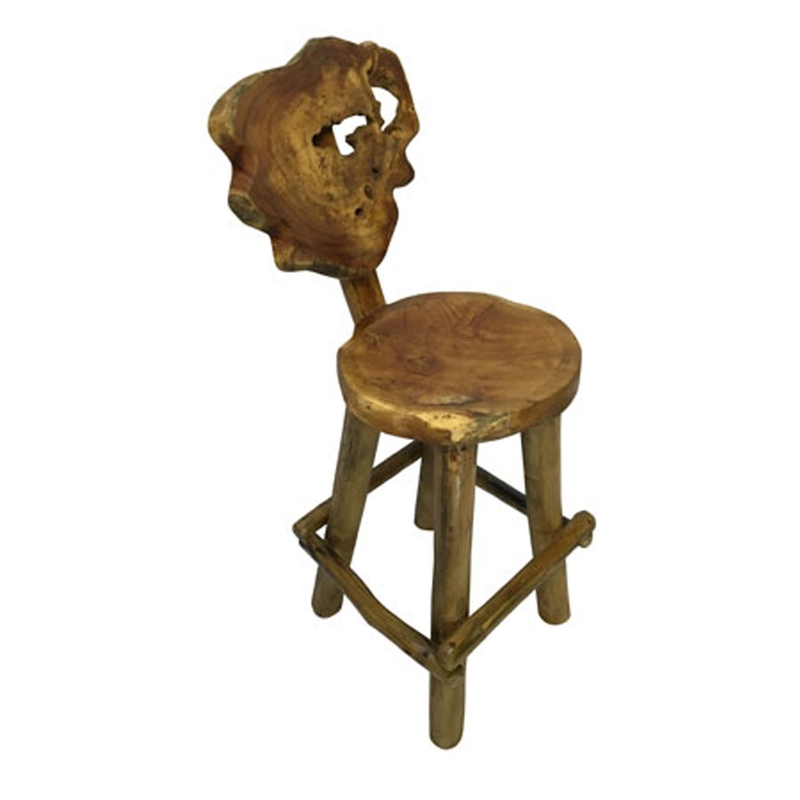 This bar stool has a beautiful design that features 4 legs, holding up a rounded seat. The seat is then given a back for extra comfort. This product is created from teak root and is given a distressed style to make it look very stylish and modern.